Most schools are back in session on Monday and the time to purchase a backpack for your child is now and Executive Essentials has a broad selection of backpacks at fantastic prices, 10-56% OFF!! The most popular backpack brands this year are JanSport and The North Face. In particular the JanSport Plaids and The North Face Heckler. If your child has a need to purchase a new backpack every year; the less expensive JanSport might be a better choice. For children who can use the same backpack for several years in a row; the more expensive, lifetime warrantied, North Face will be the better option. For even a greater value on a North Face backpack, check out the 25% off older styles that are currently available! Some children prefer messenger bags. 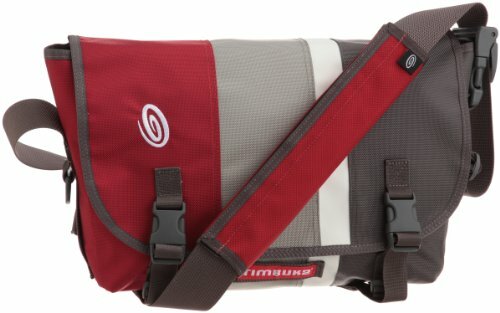 Our most popular messenger bags by far, Timbuk2, are available in a multitude of different colors and styles and are also on sale at 20-25% off! Get your child off on the right track this school year with the right backpack or messenger bag, by purchasing one today at exceptional prices at Executive Essentials! Getting your school supplies ready for the new school year used to be a fairly simple endeavor. If you were in K-8, you went to your local department store with your folks, picked up the school supply list and shopped for the items you needed to start the year off right. The simple supply list usually contained a few pens and pencils, some notebooks, a backpack, a lunch bag, a ruler and some glue. For high school and college though, the list can get a bit more complicated. These days a high school student can’t get away with just a few pens and pencils and a notebook. In this new age of multimedia learning and exploration, it’s becoming more necessary for students to have electronic devices not only to learn from but to compete with. Desktop computers at home have replaced (or are quickly) replacing the TV as the entertainment center, which the home revolves around. But, more than that, the home computer has become the new library and study station. It’s become a home tutor for many students for better or worse. It’s only natural that with the advent of the laptop, that same home computer mentality would begin to hit the road with the many students around the world. As laptops have become cheaper, a high percentage of students have begun to take them into the class room in high school and college. They serve as part notebook, part dictionary, part encyclopedia and part entertainer. But taking your laptop out into the great big world can be a dicey proposition with all the hustle and bustle going on. That’s why it is important to invest in a durable and reliable laptop case. 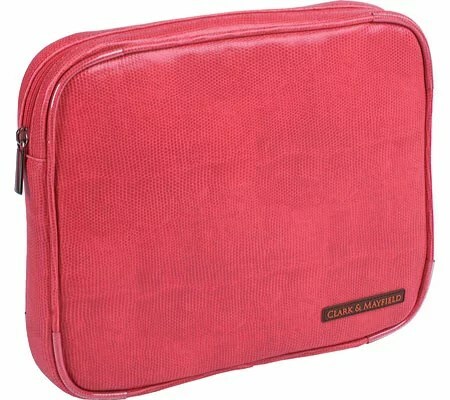 This netbook/laptop sleeve in coral-red from Clark and Mayfield is a steal right now at Executive Essentials during the back to school sale. This sleeve fits laptops with screens that are 9 to eleven inches wide. This particular sleeve comes with thick padding to keep your laptop safe from bumps and jostling. The exterior has a mild 70’s overtone with a stylish faux snakeskin look. This bag is simple and effective. A perfect melding of utility and fashion. Best of all it comes in Red, Ivory, and Turquoise as well. All for under $15 right now! If I have something (anything!) to carry around in the big, bad world, you can do no wrong by choosing a Timbuk2 product. Absolutely amazing construction and a style that never goes out. This particular case is made for the iPad –the new laptop. The guts of this sleeve are made of high-density foam with a unique seaming system that braces against impacts better than your average bag. The inside is also made of a softer material to keep the screen of your Ipad safe and clean. It has a nice snug fit so your Ipad doesn’t jostle around and just in case you plan to travel soon, it’s TSA approved. Once again, a minimalist design that delivers on protection and style. Right now at Executive Essentials, you can have this protective case for under $23. My daughter is a huge fan of the color orange, so this iPad case stuck out as I was looking through the Executive Essentials catalog. I wasn’t surprised that on further inspection it turned out to be a Harold Feinstein case. This company has a great sense of fashion and a flair for helping people stand out in a crowd. Not only that, but they make great products that last. The mum image decorates both sides of this iPad case. 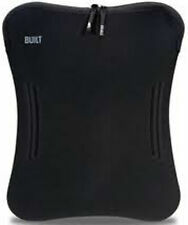 The outside is a durable neoprene material, while the inside is soft fabric to protect and coddle the iPad screen. Like many bags of its kind, it is TSA friendly and has an extra long zipper to make retrieval and storing easily in tight spaces. The outside also cleans up easily with a wet towel. With the back to school sale, you can have this sleeve hugging your iPad for under $22. Built NY is quickly becoming one of my favorite companies at Executive Essentials and this netbook sleeve in black is a perfect example why. Made from protective Neoprene this sleeve stretches to custom fit a range of 9–10-inch netbooks. The proprietary hourglass design secures any fitting netbook firmly in place. The shark gill grips on the side make gripping the sleeve easier and yes, it is TSA friendly so it will make any traveling checkpoints easier to navigate. Throw in the fact that the outside of this netbook sleeve is stain resistant and machine washable and it’s hard to say no. Especially at the back to school price of under $15. At nearly 18 inches in width, this Ogio laptop sleeve is great for protecting laptops larger than the iPad and smaller netbooks. It can be used as a business case, luggage, or on its own. The clean, simple design has a hint of blue on a background of black and gray. On the inside, this bag is all about protection, which makes it a little bulkier than other sleeves, but also makes it extremely protective. Carry this bag as a stand alone, or use it in conjunction with your OGIO messenger bag. Right now at the back to school sale, this laptop sleeve is under $30. Well, that’s a quick look at some of the great back to school sale savings you can find on laptop sleeves at Executive Essentials. And don’t forget, the EE catalog is chuck full of great deals on pens, pencils, backpacks and lunch totes. Stylish savings are just a click away.